A debut book from one of UK's finest food bloggers. 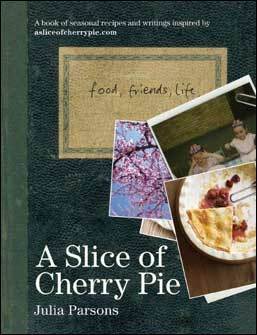 With the internationally acclaimed successes of blog to book to big screen of Julie and Julia and, before that, Clotilde Dusoulier's Chocolate and Zucchini (the original food blog to be published as an international best seller) comes A Slice of Cherry Pie. The first major food blog to book from this side of the Atlantic. It is a faithful reworking of all the elements of a blog which have brought Julia a large and loyal following. 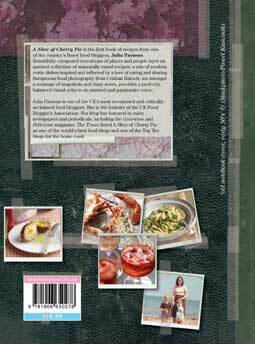 Her writing interweaves food with beautifully composed evocations of the places, people and memories which inform her recipe creations: a mix of modern rustic dishes inspired and inflected by a love of eating and sharing. A stunning backdrop of arresting food photography from Cristian Barnett and assemblies of text montages, family snapshots and the author's own photographs provide a perfectly balanced visual echo to an assured and passionate voice. A book which promises to be the first of many from a gifted new food writer, eagerly awaited by thousands of followers all over the world. Julia Parsons has gone from occasional recipe blogger to a critically acclaimed food blogger and founder of the UK Food Blogger's Association, and subsequently the spokesperson and central figure of the UK food blogging scene. 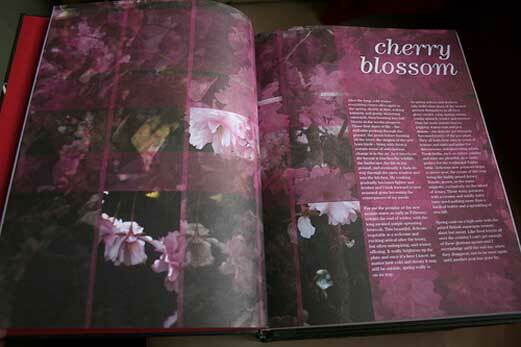 Her recipes and writing have been published in newspapers and periodicals, including The Times and The Guardian. After the long, cold winter everything comes alive again in the spring, slowly at first, waking leisurely, and gently stretching outwards, then bursting into full bloom as the weeks progress. Those first . . . When I look back at my childhood many of my happiest memories are of the summertime: playing outside all afternoon and into the early evening; blackberry picking with my mum and my sister; lying on freshly cut grass making daisy chains. Perhaps that's . . . I love to eat al fresco, whether lazily snacking at a picnic, enjoying burgers with friends at a barbecue or simply eating hot, salty chips straight from the wrapper as I walk home. The great outdoors seems . . . I love seafood, and shellfish in particular is on of my favourite things in the world to eat. It always feels like such a treat to me, perhaps because . . .
Food is best when shared. Much of the pleasure of cooking is in making meals for other people, and gathering friends around the table and enjoying good food and flowing wine is one of the greatest joys in life. When you invite friends for lunch or dinner . . . Autumn is a wonderful time of year, full of visual and culinary opulence. As much as I love summer, I welcome the change autumn brings and the fresher air after long, hot, sultry days. I look forward to . . .
Winter weekends are made for roast dinners, hearty dishes and long slow cooking; the kind of of food that welcomes you home after a long working week and warms you up from the inside out. When you don't have to . . .
Toward the end of October the clocks go back, signalling the transition into winter, and as the weeks move on the nights get colder and darker. For me, the descent of winter always seems to . . . The book comes across as being personal to its author rather than something mass produce for the book market. This comes across in the imagery - as expected that are mouth watering images of the different dishes but the book is also illustrated with photographs from the author's childhood. 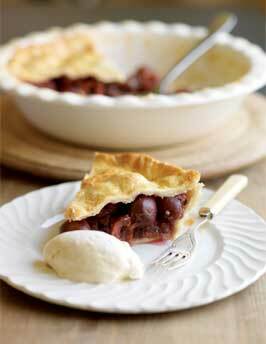 "To be perfectly honest I'm not sure that any cherry pie can live up to the one in my head: the one with crumbly pastry and glossy, jammy cherries bursting with deep flavour . . . "
Sea bass is my favourite of all fish and I like to cook it very simply to allow its beautiful flavour to shine through. A few slices of lemon and a bay leaf is all that it needs. Cooking bass - any fish, in fact - in a foil parcel, as here, allows it to steam gently leaving the flesh deliciously succulent. I like to serve spinach with the bass and perhaps a few sautéed potatoes or boiled new potatoes..
Preheat the oven to 200°C/ fan 180°C/gas mark 6. Stuff the cavity of the bass with lemon slices and a bay leaf and season it all over. Fold a 100cm long piece of foil in half widthways. Lay the fish on the double-folded foil and bring the ends up together to form a loosely wrapped parcel. Place the foil-wrapped fish onto a baking tray. Bake the bass for about 30 minutes, or until cooked through. When the fish is cooked the flesh should be opaque and easily come away from the bone. Bring a large pan of salted water to the boil and add the potato slices. Boil the slices for about 5 minutes, until they're almost, but not completely, cooked through and then drain them immediately, so that they don't break up in the water. Drizzle some olive oil into a large frying pan and heat it over a high heat. Season the cooked potato slices then add a single layer of potatoes to the pan (you will probably need to do this in two batches). Sauté the potatoes, turning halfway through, until golden on both sides. If cooking in batches, keep the first half hot in the oven while you cook the remaining slices and then pop them in the oven too. To cook the spinach, melt the butter over a medium heat, in the same pan the potatoes were cooked in, add the spinach and sauté it fora few minutes until it wilts. Squeeze the excess liquid out of the spinach and season it. 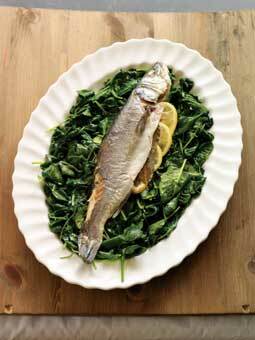 To serve, place the fish, spinach and potoes on a plate and serve straight away. Belly of pork has become quite fashionable in recent years, finding itself on the menus of London's top restaurants, and yet it's a homely dish through and through; there's nothing fancy about it, nothing artful to be done with it, it's just simple, wholesome food. 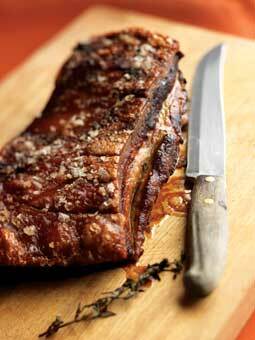 Like most of the cheaper, fattier cuts of meat, pork belly is an incredibly flavoursome cut of meat and when cooked slowly it's meltingly tender. Don't worry too much about the fat; most of it cooks away and what's left just adds to the flavour. There are two elements to the way I cook this dish: first the dry skin and high heat for crispy crackling and secondly stock to create tender meat. Although the stock creates some steam, as the heat is fairly low and the skin has already had a chance to crisp up in the hot oven the crackling isn't too affected. But if you find it isn't as crisp as you'd like it at the end of the cooking time simply cut it away from the pork and put it back in the oven at full whack to really crisp it up. Preheat the oven to 230°C/ fan 210°C/gas mark 8. Score the skin of the pork with a sharp knife or, preferably, get your butcher to do it for you. Pat the skin dry with kitchen paper then rub it with sea salt. Put the pork into a roasting tin and into the oven. After 30 minutes remove any fat from the roasting tin and pour the chicken stock around the pork, making sure it doesn't touch the skin as that needs to stay dry. Add the onion, garlic cloves, celery and carrots to the tin along with the herbs. Make sure the herbs are fully immersed in the stock otherwise they'll just dry out in the oven. Reduce the oven temperature to 150°C/fan 130°C/gas mark 2 and cook the pork fora further 21/2 hours by which time it should be very tender. You shouldn't need to top up the stock during the cooking time but check it once or twice and if it does run low top it up with a little more stock or water. If the cracking isn't as crispy as you would like at the end of the cooking time carefully cut it away from the pork, turn the heat back up to 230°C/fan 210°C/gas mark 8 and put the crackling back into the oven to crisp it up. Skim any excess fat off the juices and serve them with the pork. If they're too thin for your liking put the roasting tin on the hob, bring them up to the boil and simmer them to reduce them down a little. The pork is great served with simply steamed cabbage and mashed potato to soak up all the juices. Belly of pork is, as you would expect, cut from the underside of the pig and it's the cut used to make streaky bacon and Italian pancetta. It's also the cut that spare ribs comes from. It is a fatty cut but when you roast it slowly over a few hours most of the fat renders away leaving you with wonderfully succulent and flavoursome meat. These individual cheesecakes are so easy to make and great for a dinner party. Make them well in advance to give them time to chill and firm up in the fridge. The amount of sugar you'll need in the filling will depend on the type of cream cheese you use and, of course, your own preference, so mix in a little, taste it then add more as you need. You can make the cheesecakes in 9cm ramekins or using 9cm metal ring moulds. If you're using ramekins, line them completely with foil, letting it over extend the top so you can easily pull the cheesecakes out. Place the biscuits in a plastic food bag and crush them with a rolling pin until they form even-sized crumbs. Place the butter in a medium pan and heat it gently until melted. Stir the crumbs into the melted butter. Place the metal rings or ramekins onto serving plates then press a quarter of the biscuit mixture into each. Set aside to cool in the fridge. Place the cream cheese and vanilla extract in a medium bowl and mix them together until smooth. Add a tablespoon of icing sugar at a thee, mixing well, until the filling is sweet enough for your taste. Stir in a squeeze of lemon juice, if liked. Spoon the mixture over the bases in the rings or ramekins and smooth over the tops. Chill in the fridge for at least 4 hours. While the filling is setting, make the topping. Gently heat the blueberries and sugar together in a small pan, for about 15 minutes, swirling the pan now and again, until the blueberries start to break down and the sugar completely dissolves. 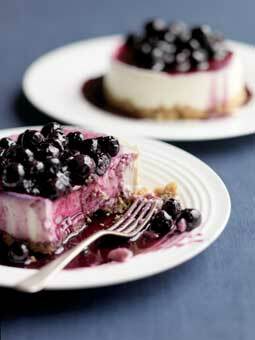 Allow the mixture to cool and refrigerate it until you're ready to serve the cheesecakes. When the cheesecakes are set and you are ready to serve them, if you've used ramekins simply pull the foil away from the sides of each cheesecake and transfer to a plate using a metal fish slice. If you've used metal rings use a blowtorch to heat the moulds a little, to make them easier to slide off or, if you haven't got a blowtorch, wrap a hot cloth around them for a minute. Spoon the blueberry topping over the cheesecakes just before serving.